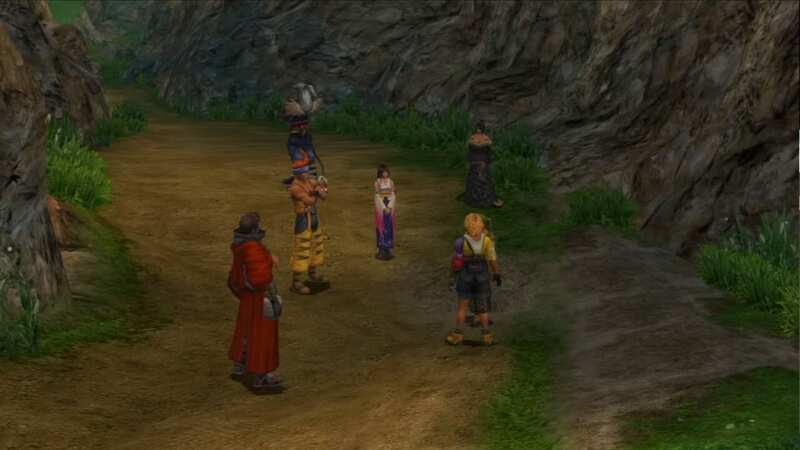 A complete walkthrough for Moonflow in Final Fantasy X (FFX), including enemies encountered, obtainable items, and boss strategy guides. Before leaving Djose, approach a soldier NPC standing on a bridge. Pick-up: Halberd weapon. While passing through the bridge, approach another walking NPC and pick-up: Hi-Potions x2. In the next bridge area, approach a Blitzball Scout named Kyou and pick-up Potions x10. Watch cutscene: Lucille bids farewell. When you arrive at Moonflow, make sure to have Yuna in your active party and build up her overdrive prior to an incoming boss battle. Equip Poisonward or Confuseward abilities since there will be Ochu enemies that will be encountered along the way. Proceed to the right pathway and approach Shelinda. Move further to a small pathway leading to a treasure chest. Pick-up: Level 1 Key Sphere (1st). Proceed back to the pathway. Watch another cutscene: Biran and Yenke. Locate a treasure chest on the left side of the pathway. Pick-up: X-Potion. In the next frame, locate another treasure chest on the right side of the pathway. Pick-up: Level 1 Key Sphere (2nd). Move further and approach Belgemine for her second challenge. Battle with Belgemine’s Aeon, Ixion. Way past Belgemine, you can pick-up: Magic Def Sphere. After watching the South Bank cutscene, proceed left side to the South Warf Area. Get the item from the Treasure Chest nearby. Pick-up: Phoenix Downs x2. Talk to O’aka XXIII if you need to resupply. Then, continue moving left side. 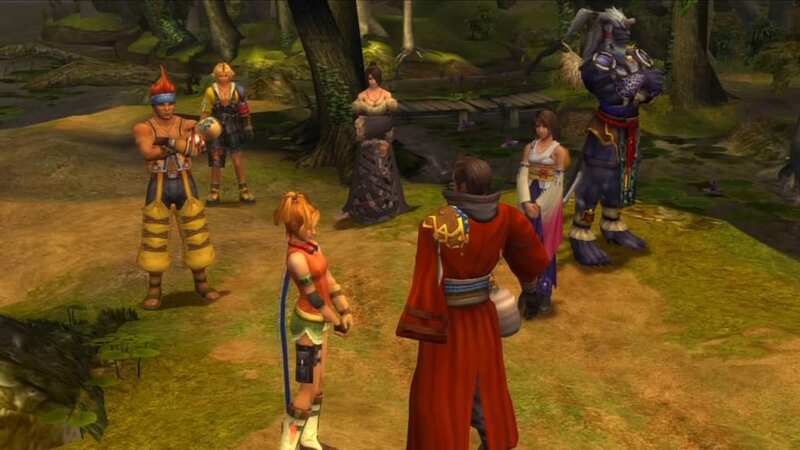 Approach and talk with the Crusaders near Auron on the west side of the Shoopuf docking station. Talk with Maechen for Shoopufs information and stories. Approach the Treasure Chest behind Lulu in the North Warf tent. Obtain free 5,000 Gil. Save your game via Save Sphere. Then, visit the Shoopuf docking station. 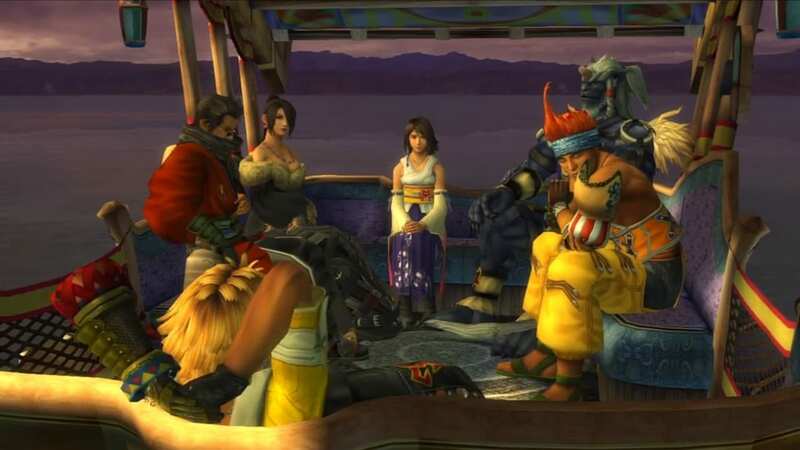 While at the docking station, don’t forget to equip Tidus’ and Wakka’s with weapons that have Lightningstrike abilities if available. Approach and talk to Hypello to ride a Shoopuf across Moonflow. While crossing the Moonflow, the Shoopuf will be ambushed by another Al Bhed Machina, Extractor. Pick-up: Al Bhed Primer (Vol. XII) North Warf docking station. Go further to the west and locate a Treasure Chest near the North Warf signpost and bench. Pick-up: Ether. Move west even further until a cutscene prompts. Move further until you reach the end of the pathway. Pick-up: Mega-Potion from the Treasure Chest nearby. 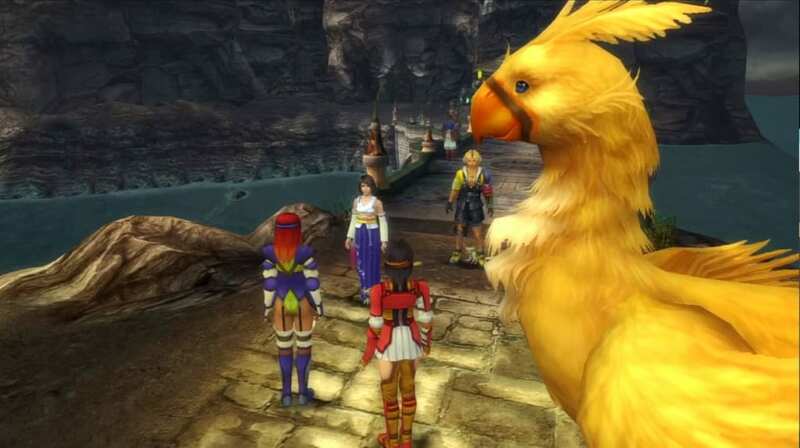 Yuna will face Belgemin’s Aeon, Ixion, this time for her second challenge. Prior to the battle, make sure that Yuna’s Overdrive gauge is already. 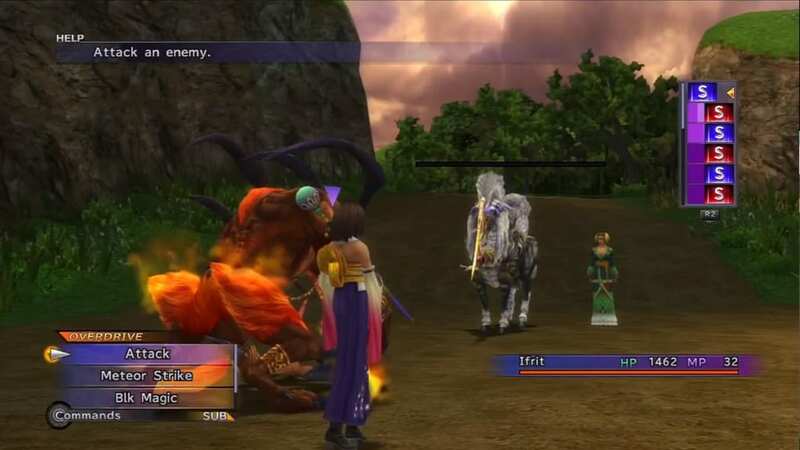 Start by using Ifrit’s Hellfire to damage Ixion quickly. Ixion will use Haste to increase how frequently it can attack. Use Hellfire and Overdrives as much as you can to finish Ixion off. Otherwise, use Valefor to finish the battle. You will obtain two Dragon Scales if you win or six Smoke Bombs if you lose. In addition, you will get a Summoner’s Soul no matter the outcome. 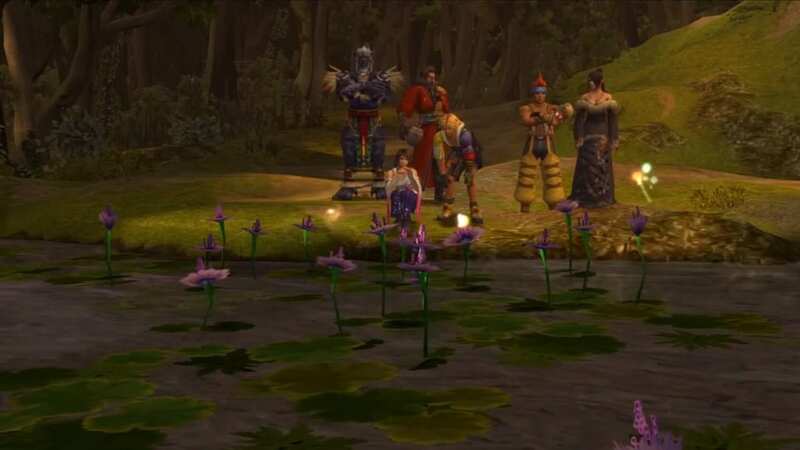 You will only have Tidus and Wakka in your active party while Yuna is inside the Extractor’s dome. Start by casting Slow on the Extractor. 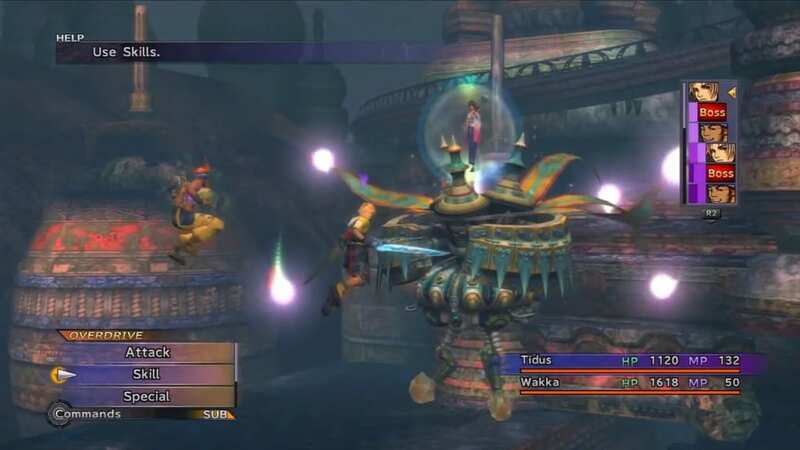 Then, use Haste and Cheer on both Tidus and Wakka. As highlighted earlier, use weapons with lightning abilities to maximize your damage. Use Overdrives when they are available.